WITH FLAWLESS SNOW WHITE COMPLEXION. 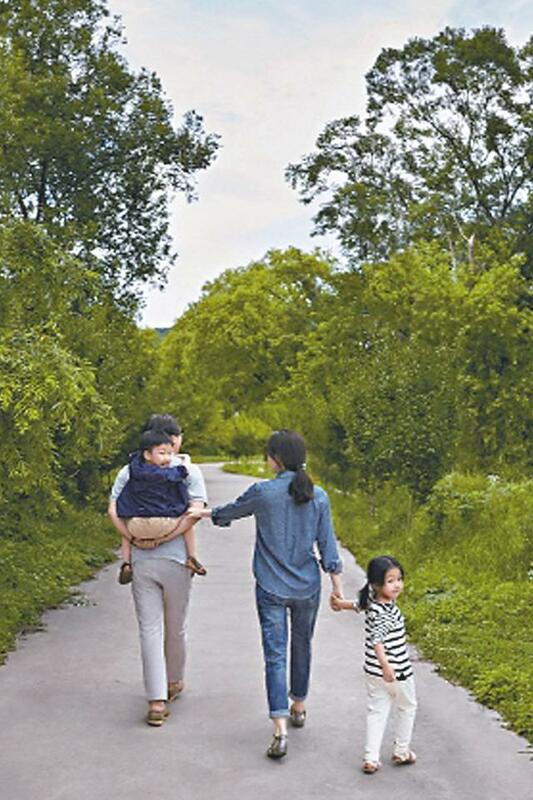 LEE YOUNG AE FAMILY OF FOUR TAKES A STROLL. HAPPINESS ABOUND. As LYA rejected reporters' interviews, she said: "It's been a long period of rest as a wife and as a mother. I'm very happy. It's been 4 years since we spent our summers here." And before ending, LYA didn't forget to put in a plug for her upcoming drama 'Shin Saimdang, the Herstory' and said: "Everyone, don't forget to watch it." Teaser poster image for Lee Young-ae's upcoming drama "Saimdang, the Herstory"
Lee Young-ae's new drama "Saimdang, the Herstory" will start shooting in August. The new drama has already been sold to six countries, production company Group8 said. The show has been syndicated through Turner Entertainment Company to China, Japan, Thailand, Singapore and others. In the new drama, the hallyu actress who is widely known for her performance in "Jewel in the Palace" will play a double role. She will play a modern college art lecturer as well as artist Shin Saimdang, the mother of Korean Confucian scholar Yulgok during the Joseon Kingdom (1392-1910). The actress will be portraying Lee Young Ae’s greatest enemy and rival. Having wanted to become Saimdang and believing she could succeed, she is lead to misfortune and destruction when she is unable to surpass her genius rival. She also harbors a grudge after being rejected by Lee Kyum whom she previously loved. Coming from a humble background, she experiences a life full of ups and downs as she succeeds and becomes a respectable wife after erasing her lowly past. Oh Yoon Ah most recently acted in MBC’s “Angry Mom.” “Saimdang, the Herstory” will actually be the actress’ first sageuk (traditional Korean drama) since debuting. 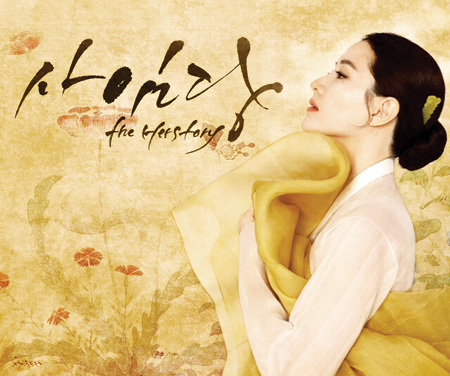 “Saimdang, the Herstory” retells the story of Joseon Dynasty artist Shin Saimdang. 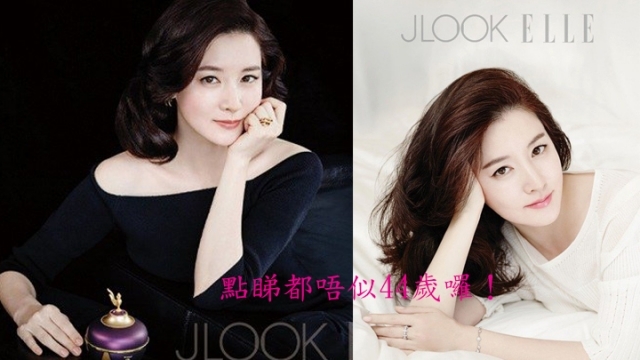 Lee Young Ae will be making her long-awaited drama comeback as the titular character. Besides portraying the historical figure, she will also be acting as a modern day art professor who studies Saimdang’s diary and discovers mysteries surrounding the artist. Various reports have confirmed Song Seung Hun as the male lead Lee Kyum. However, these statements have been refuted and the actor has promised to reveal his decision after careful consideration next week. SBS plans to start filming next month and have an early 2016 premiere. I look forward to seeing her again. I loved her as the antagonist in "The Firstborn"
(PS: Not translating the article since its content is about the same as the one above. Actress Park Hye-Soo, who currently plays Joo Won's sister in Yong Pal, has been confirmed for Shin Saimdang. She will be playing young Saimdang. Song Seung-heon and Lee Young-ae's "Saimdang, the Herstory"
Song Seung-heon has confirmed a role in "Saimdang, the Herstory". According to Group Eight, Song Seung-heon is co-starring in the drama "Saimdang, the Herstory" with Lee Young-ae. This is his first drama comeback in 3 years since "When A Man's in Love". Song Seung-heon is currently involved in a 100 billion won (~$US100 million) collaboration film with Bruce Willis, Nicholas Tse, Liu Ye, William Chan and others. He's been through some transformations in "Human Addiction" and "Miss Wife". "Saimdang, the Herstory" is also Lee Young-ae's first comeback in 11 years and the movie has the international crowd on the edge of their seats. "Saimdang, the Herstory" is a story retold of Joseong's Saimdang. The drama is produced by Yoon Sang-ho and the crew from "The Legend". It is written by Park Eun-ryeong from "The Woman Living Across the Street". "Saimdang, the Herstory" starts filming on the 10th and will be released on SBS next year. The actor Song Seung-Hun decided to appear at SBS drama ‘Saimdang, the Herstory’. On 10th the production company Group Eight noticed, “The actor Song Seung-Hun decided to appear at the drama ‘Saimdang’ and work with Lee Young-Ae.” For this Song Seung-Hun will return to Braun Tube in three years after MBC ‘A Man in Love’ on 2013. The role of Lee Gyum whom Song Seung-Hun will perform, is a pure man who loves Saimdang forever from when he met Saimdang who climbed over a wall. He is the character who resonate with Saimdang by act, over love. Especially ‘Saimdang’ receives enthusiastic reaction in foreign country as it is the return work of Lee Young-Ae for 11 years. 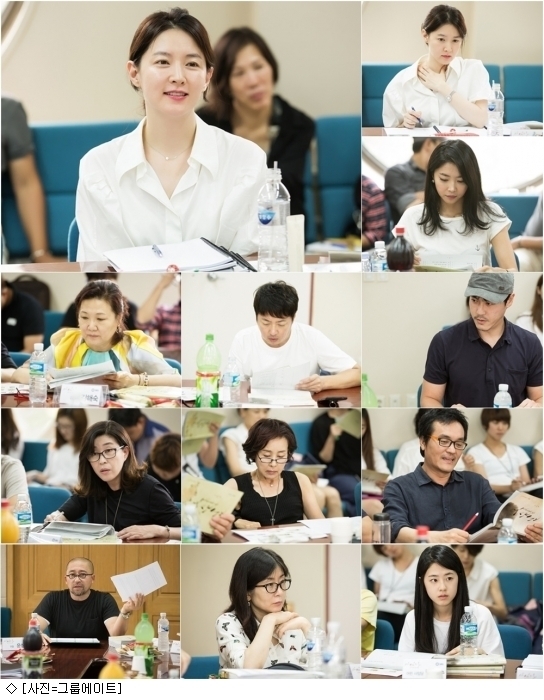 The harmony of Lee Young-Ae and Song Seung-Hun is expected to receive interests. ‘Saimdang’ is the drama about Saimdang Shin in Joseon Dynasty, her art and love. It will be aired at the beginning of next year in SBS. The next big pre-produced project is Saimdang: The Herstory, starring Lee Young Ae andSong Seung Heon, with rumors that it’ll land on MBC. SBS' new drama, 'Saimdang, the Herstory' has revealed photos taken from their gosa ritual (traditional ritual to wish luck). Song Byeong-joon, CEO of Group8, as well as actors and actresses including Lee Young-ae, Kim Hae-sook, Oh Yoon-ah, Yoon Da-hoon, Yoon Seok-hwa, Choi Jong-hwan, Kim Min-hee-II, Choi Cheol-ho, Park Joon-myeon and others and staff members, about 150 people all together attended the event. 'Saimdang, the Herstory' is a reinterpretation of the life of Shin Saimdang during Joseon era to depict her artistic spirit as a genius painter and her undying love. 'Saimdang, the Herstory' will be pre-produced by 100% in order to pursue perfection, before it is broadcast by SBS in the second half of this year. Kim Hae-Sook, needs no intro. She is always amazing, in everything I have seen her in. Oh Yoon-Ah: I loved her in "The Firstborn"
Choi Cheol-Ho - was pretty chilling in "Into the Flames" and also in "Scandal"
Yoon Da-Hoon : I liked him in "Tears of Heaven." Park Hye-Soo: is currently in "Yong Pal" playing Joo Won's character little sister. Park Joon-Myeon: I saw recently in "Mask". She played Soo-Ae's boss at the dept. store. Oh my, when my twins were that young! I wish I did look that good back then! Thanks for the news everyone, I am looking forward to this project too! Thanks again for the news! It means they'll soon start shooting too!